Poker is everywhere and has become more popular as proven by a number of prestigious poker tournaments annually. On the top of these prestigious events is the long-running World Series of Poker, or WSOP, which dated back to 1970. Since 2005, WSOP Circuit Event was organized and held yearly in different casinos. The culminating stretch of this circuit event, the regional championship, is usually played with No Limit Texas Hold’em poker tournament. But before going further with the WSOP event in New Orleans 2011, let’s take a brief recap of last year’s winner in the WSOP Circuit Event held at Harrah’s New Orleans. The 2010 WSOP Circuit Event at Harrah’s New Orleans was a huge success. Fred Berger grabbed the highest distinction in last years WSOP Circuit Event regional championship in Harrah’s Hotel, New Orleans. He took home $197,584 with the specially designed WSOP bracelet. Next to him was Mike Beasley and beat other finalists including Jared Ingles, Chander Jain, Jacob Naquin, Joel Merwick, Edward Corrado, Fernando Perez and Ben Keiley. The final stretch for 2011 WSOP circuit event will be held in Harrah’s Hotel in New Orleans on May 9th to May 22nd. The buy-in for this regional championship event is $10,000. Of course, the prizes at stake are simply irresistible. Aside from the cash prize, the winner will get the chance to take home the most-coveted WSOP gold bracelet, internationally recognized as the highest honor one can get from participating and winning in the prestigious Word Series of Poker tournament. But, if you aren’t lucky enough to take home the prize, it’s still worth the effort given that you get the chance to witness and take part as WSOP makes history once again. 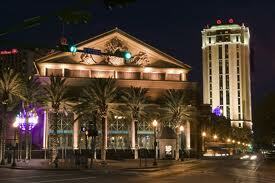 Harrah’s Hotel in New Orleans, USA has been one of the favorite stops for WSOP poker tournaments. The AAA Four-Diamond hotel sits right at the heart of New Orleans’ exciting city. It is not surprising then that the annual WSOP Circuit Event No Limit Hold’em Regional tournament is regularly held in this hotel with its luxurious and comfortable poker tables allowing you to enjoy every minute of the game. So, what are you waiting for? WSOP New Orleans 2011 is fast approaching. Plan ahead and take part as WSOP makes history once again.